Here are a few documents that provide additional guidance for online recruitment. If you’re a psychology student, please note that these documents are meant to be used as an addition to the online recruitment workshop that you would have attended. If you have questions or need additional guidance, please don’t hesitate to get in touch! Qualtrics is an easy to use web-based survey tool to conduct survey research and other data collection research. 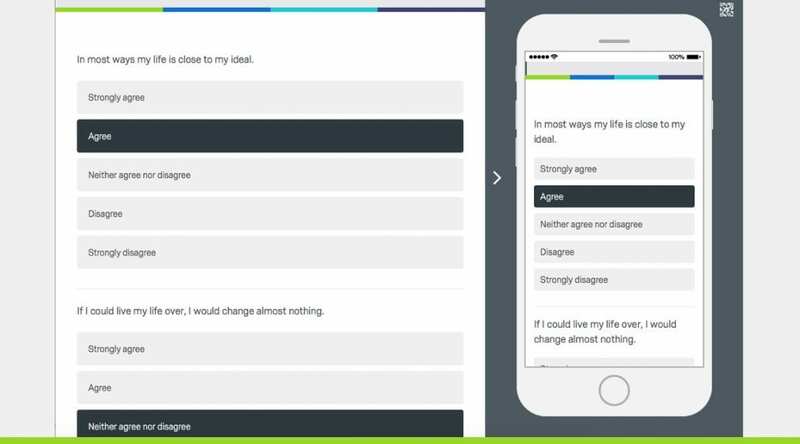 It can be used for simple Likert type responses as well as free text questions, what’s more it has the ability to ask more complex questions, do all sorts of randomisation and present a wide range of stimuli such as images and videos. Qualtrics is easy to use to build surveys, distribute surveys and analyse responses – all from any online location, any time you need! Psychology students recruiting participants online must use Qualtrics when they reach their final year. Level 4 and Level 5 psychology students must complete 2 online studies and earn at least 10 participation credits from taking part in face to face studies per year before they can use Qualtrics or SONA for their dissertation in Level 6. This gives students really valuable experience of participating in studies, and enables dissertation students reach ambitious recruitment targets. Dissertation students award 1 participation credit for every online survey participants complete. Members of the public can also participate. You will gain access to your Qualtrics account when you attend one of the dissertation workshops for online recruitment. Look out for an e-mail about these workshops in the first semester. Your study won’t go live until you request approval from your supervisor, so please feel free to experiment as soon as you have your account. Qualtrics is easy to use, and you can put your study up yourself with no help if you’d prefer. Guidance will appear here in due course. Click here to log in to Qualtrics. You can start participating in online studies at any time. 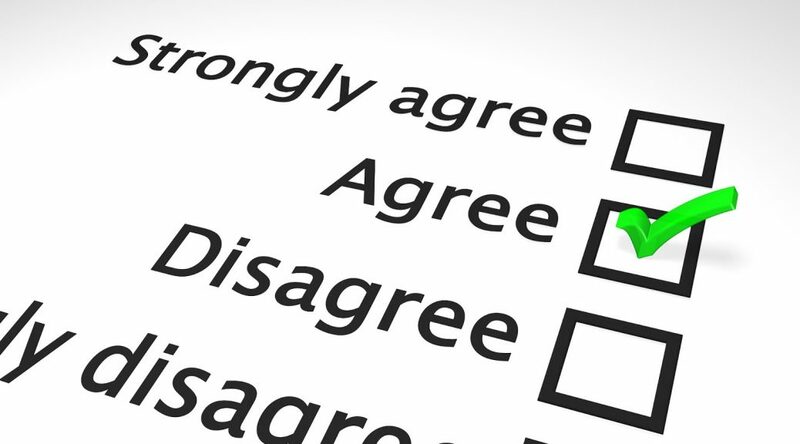 You must complete 2 online surveys per year. You must also earn 10 participation credits per year – participation in online studies goes towards your SONA credits credits, but can earn a maximum 2 SONA credits from this. You receive 1 participation credit for every survey you complete. All psychology students are strongly encouraged to take part in as many studies as they can, as they will be helping dissertation students and gaining insight that will definitely help when it comes to dissertation time and thinking about a career! A prize for the Level 4 and Level 5 student participating in the most studies will be awarded at the next BUDS conference. Click here to see available studies. If you’re having trouble loading the page above, please remember to disable ad-blocker. Anybody can participate in studies, not just students. You can participate by clicking on the link provided with each study. If you find a study interesting, feel free to share it on social media or send it to friends to help the researchers reach their recruitment numbers. For more guidance on online recruitment click here. Got questions? Contact a psychology technician! Story completion is a method used or qualitative research, wherein participants express their views on a topic by completing a story normally started by the researcher. This post will give you an overview of the method, including some tips and practicalities to think about when designing a research study that uses story completion. 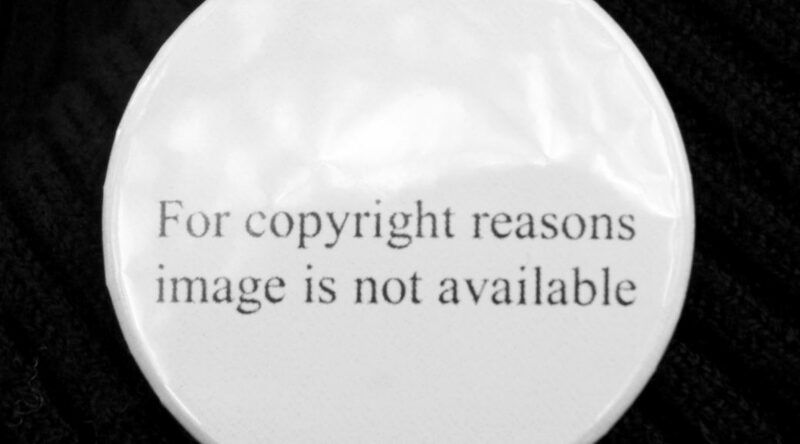 Most of the images you find on the web will have some sort of copyright or ownership rights that will prevent you using them in lectures, posters or as dissertation stimuli for example. There are a number of free sources of images, and here they are! If you find any more please let Joe the psychology technician know. https://pixabay.com and https://unsplash.com are searchable sources for free images. You can also use search.creativecommons.org to search Flickr for images that are licensed for reuse. It allows you to filter by commericial/non-commercial reuse so it is very helpful. More guidance for University of Brighton students using images can be found here. Click on the links below for two very short interactive (2 page) guides that summarise what the lab can offer dissertation students. Please contact a psychology technician to discuss how the lab can help you! This page contains information on a range of measures (psychometric tests) freely available to psychology students, and the formats in which they are available. Please note this is a guide only and is not intended to be a definitive list. You are strongly encouraged to read the academic papers that accompany the tests and read around these to make sure the test is right for your purposes. Your choice of measure should be discussed with your supervisor. Your supervisor must approve the measures you intend to use before you use them to collect data. If the questionnaire you need is accessible only by contacting the author, you must check with your supervisor before doing so. At the end of the page are links to other databases that contain many more measures if you can’t find what you are looking for here. Links will take you direct to online resources. Please remember to reference these correctly if you use them. Please click here to contact a psychology technician, or speak to your supervisor. Where tests are marked with an asterisk (*) these are paper copies subject to copyright and held in the psychology lab store – if you would like to use any of these you will need to get approval from your supervisor. If you would like to use a published test not on this list, or would like to add a test to the list, please do contact a psychology technician. Activism – The Activism Orientation Scale (AOS) – The questionnaire is freely available here with background info in this article. Anger – The Clinical Anger Scale – Questionnaire is freely available on this website with background info in this article. Aspects of Identity – The Aspects of Identity Questionnaire – The questionnaire is freely available on this website. Attitudes Towards Self – The Attitudes Towards Self (ATS) Questionnaire – The questionnaire is freely available on this website. Attraction Tactics – Mate Attraction Tactics – The questionnaire and background is freely available here. Belief in Good Luck – The Belief in Good Luck Scale – The questionnaire and background is available in this journal article, you may need to access this via the library computers. Belonging – Need to Belong Scale – The questionnaire and background is freely available here. “Big 5” Personality traits (openness, conscientiousness, extraversion, agreeableness and neuroticism) – This is freely available for research purposes from the author’s website, here. Body Anxiety – Social Physique Anxiety Scale (SPAS) – The questionnaire is freely available here with background in this article. Body Attitudes (men) – Male Body Attitudes Scale (MBAS) – The questionnaire and background is available in this journal article, you may need to access this via the library computers. Body Awareness – The Body Awareness Questionnaire – The questionnaire and background is available in this journal article, you may need to access this via the library computers. Body Esteem (women and men) – The Body Esteem Scale – Information on the scale and relevant publications is available here, you will need to email the authors (details in the link) to use the scale. Body Shape (women and men) – The Body Shape Questionnaire – The questionnaire is freely available here with background in this article. Coping style – The Coping Styles Questionnaire for Social Situations – The questionnaire and background is freely available here. Curiosity – Curiosity and Exploration Inventory (CEI) – The questionnaire is freely available here with background in this article. Depression – University Students’ Depression Inventory (USDI) – This article contains the factor analysis of the USDI – use the Methods section and the table with final 30 factors to re-build the questionnaire. Depression, Anxiety and Stress – Depression, Anxiety, Stress Scale (DASS) – long version (42 items) of the questionnaire can be found here with background info in this article. Short version (21 items) is freely available here with background discussed in this article. Use this source to cite both versions of DASS. Dieting – The Dieting Beliefs Scale – The questionnaire and background is available here, you may need to access this via the library computers. Disagreement – Tolerance for Disagreement Scale (TFD) – Questionnaire is freely available here. Eating – Eating Attitudes Test (EAT26) – The questionnaire is freely available here with background information in this article. Emotional Intelligence – The Emotional Intelligence Scale – The questionnaire and background is available here, you may need to access this via the library computers. Empathy – Toronto Empathy Questionnaire (TEQ) – Questionnaire is freely available here with background in this article. Empathy – Empathy Quotient for Adults – Questionnaire is freely available here with background info in this article. Environment – ALPHA Measure of Environmental Perceptions – Questionnaire and background info is freely available here. Environment – Environmental Attitudes – Questionnaire and background info can be found in this article. Ethical Position – Ethics Position Questionnaire (EPQ) – Questionnaire and background is freely available here. Facebook Use – The Facebook Intensity Scale (FBI) – Questionnaire is freely available here with background information in this article. Family Distress – The Brief Family Distress Scale – Questionnaire is freely available here with background info in this article. Family Life – The Satisfaction with Family Life Scale – The questionnaire and background is available in this journal article, you may need to access this via the library computers. Fear of being found out – Imposterism Scale – Questionnaire is freely available here with background info in this article. Flourishing – The Flourishing Scale measures an individual’s self-perceived success in areas such as relationships, self-esteem, purpose and optimism – Questionnaire and background is freely available here. Friendship – The Friendship Questionnaire – The questionnaire and background is available here, you may need to access this via the library computers. Friendship (costs and benefits) – Costs and Benefits of Friendship Questionnaire – Questionnaire is freely available here with background in this article. Friendship – McGill Friendship Questionnaire – Respondent’s Affection (MFQ-RA) – questionnaire is freely available here with background info in this article. Future Consequences – Consideration of Future Consequences Scale (CFC14) – Questionnaire is freely available here with background in this article. Food preoccupation – Food Preoccupation Questionnaire – Questionnaire is freely available here with background in this article. Gratitude – The Gratitude Questionnaire (GQ-6) – Questionnaire and background is freely available here. Happiness – The Subjective Happiness Scale – The questionnaire and background is available in this journal article, you may need to access this via the library computers. Homophobia – The Homophobia Scale (HS) – Questionnaire is freely available here with background in this article. Identity – Aspects of Identity Questionnaire (AIQ-IV) – Questionnaire is freely available here with background in this article. Jealousy (infidelity) – Jealousy Instrument – Questionnaire is freely available here with background in this article. Job Satisfaction – The Work Locus of Control Scale – The questionnaire and background is available in this journal article, you may need to access this via the library computers. Lesbian and Gay Human Rights support – Support for Lesbian and Gay Human Rights Scale (SLGHR) – Questionnaire and background is freely available here. Lesbian, Gay, Bisexual identity – The Lesbian, Gay, and Bisexual Identity Scale (LGBIS) – Questionnaire and background is freely available here. Likability – Reysen Likability Scale – Questionnaire is freely available here with background in this article. Love and breaking up – Love Schemas Scale – Questionnaire and background is freely available here. Love attitudes – Love Attitudes Scale: Short Form – Questionnaire and background is freely available here. Meaning of Life – The Meaning of Life Questionnaire – Questionnaire and background is freely available here. Mood – Brief Mood Introspection Scale – the questionnaire and background info is freely available here. Music Preferences – Short Test of Music Preference (STOMP) – Questionnaire and background is freely available here. Nature – The Connectedness to Nature Scale, a measure of individuals’ feeling in community with nature – The questionnaire and background is available in this journal article, you may need to access this via the library computers. Narcissism – Hypersensitive Narcissism Scale – Questionnaire and is freely available here with background in this article. Optimism – The Life Orientation Test-Revised (LOT-R) – Questionnaire and background is freely available here. Pain – This journal article provides full details and assessments of 7 measures to assess pain, you may need to access this via the library computers. Panic Attacks – The Panic Attack Questionnaire – Questionnaire and background is freely available here. Passionate Love – The Passionate Love Scale (PLS) – Questionnaire and background is freely available here. Personal Development – Personal Growth Initiative Scale (PGIS-II) – Questionnaire and background is freely available here. Physical Activity and Sport Anxiety – Physical Activity and Sport Anxiety Scale (PASAS) – Questionnaire is freely available here with background in this article. Pregnancy Experience – Pregnancy Experience Scale – Questionnaire is freely available here with background info in this article. PTSD – Trauma Screening Questionnaire (TSQ) – The questionnaire and background is available in this journal article, you may need to access this via the library computers. Purpose in life – Life Engagement Test (LET) – Questionnaire is freely available here with background info in this article. Quality of Life – The Global Quality of Life Scale (GQOL) – Questionnaire is freely available here with background info in this article. Racism – This journal article provides full details and assessments of 34 measures to assess racism/discrimination, you may need to access this via the library computers. Relationships – Friendship and Relationship Quotient – Questionnaire is freely available here with background info in this article. Religious Commitment – The Religious Commitment Inventory (RCI-10) – Questionnaire and background is freely available here. 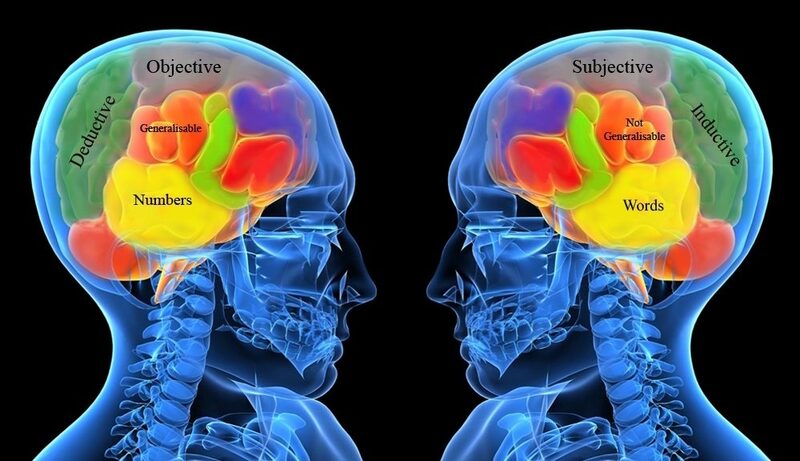 Repetitive Thinking – Repetitive Thinking Questionnaire – Assesses repetitive thinking and rumination such as cognitive avoidance, thought suppression, metacognitions and thought control strategies – Questionnaire is freely available here with background in this article. Satisfaction with life – The Satisfaction with Life Scale – The questionnaire and background is available in this journal article, you may need to access this via the library computers. Self-Consciousness – Self-Consciousness Scale (SCS-R) – Questionnaire is freely available here with background in this article. Self-Criticism – Attitudes to Self (ATS) – Questionnaire and background is freely available here. Self-esteem – The Rosenberg Self Esteem Scale (SES) – The questionnaire is freely available on this website. Self-esteem – Collective Self-Esteem Scale – Questionnaire with background information in freely available here. Self-portrayal – Negative Self-Portrayal Scale – Questionnaire is freely available here with background in this article. Separation Anxiety – Adult Separation Anxiety Tool (ASA-27) – questionnaire is freely available here with background info in this article. Sexual Attitudes – Brief Sexual Attitudes Scale (BSAS) – Questionnaire is freely available here with background in this article. Sexual Desire – Sexual Desire Inventory – Questionnaire and background is freely available here. Sexual Likes and Dislikes – Sexual Self-Disclosure Questionnaire – Questionnaire and background is freely available here. Shyness – Shyness Scale (SS) – Questionnaire and background is freely available here. Sleep-related worry – The Anxiety and Preoccupation about Sleep Questionnaire (APSQ) – Questionnaire is freely available here with background in this article. Social Anxiety – Social Anxiety In University Students – Questionnaire and background is freely available here. Social Anxiety – Social Anxiety Questionnaire for Adults (SAQ-30) – Questionnaire is freely available here with background info in this article. Social Phobia – Social Phobia Inventory (SPIN) – The questionnaire and background is available in this journal article, you may need to access this via the library computers. Social Support – The Multidimensional Scale of Perceived Social Support – The questionnaire and background is available in this journal article, you may need to access this via the library computers. Social Support – Social Support Inventory – this article contains factor analysis of the inventory. Use the Methods section and the table with final factors to re-build the questionnaire. Spiritual Connections – The Spiritual Connection Questionnaire (SCQ48) assesses the experience of a “sense of connection” with the universe, people, nature and places. The questionnaire is freely available here with background in this article. Sport – Sport Emotion Questionnaire (SEQ) measures pre-competitive anger, anxiety, dejection, excitement, and happiness. Questionnaire is freely available here with background info in this article. Strength of emotions – The Affect Intensity Measure (AIM) measures how strongly an individual experiences emotion – Questionnaire and background is freely available here. Stress – The Perceived Stress Scale – The questionnaire and background is available in this journal article. Stress and PTSD – The Impact of Events Scale – The questionnaire can be freely downloaded from numerous sites, including here. Systematising – Systematising Quotient – Questionnaire is freely available here with background info in this article. Teasing about physical appearance – The Perception of Teasing Scale (POTS) – The questionnaire and background is available in this journal article, you may need to access this via the library computers. Temptations to drink – Temptations to Drink Instrument – Questionnaire is freely available here with background in this article. Violence – Attitudes towards (male and female) dating violence – Questionnaire and background is freely available here. Worry – Penn State Worry Questionnaire (PSWQ) – Questionnaire and background is freely available here. Autism – The Autism Research Centre has a wide range of freely available tests related to autism and aspergers syndrome in children and adults. Drug/alcohol related – The European Monitoring Centre for Drugs and Drug Addiction maintains the Evaluation Instruments Bank (EIB) which is an online archive of freely available instruments for evaluating drug-related interventions. This also includes wellbeing/self esteem instruments. Health psychology -The Falmer library has a paper copy of “Measures in health psychology: a user’s portfolio” which contains a number of measures under the following themes: pain and pain behaviours, stress, emotion and life events, coping, social support, health status and health related quality of life, illness, symptoms, disability and recovery, expectations and experience of healthcare, individual and demographic differences, causal and control beliefs, beliefs and knowledge about health and illness and health-related behaviour. More Social Science – Many of the measures in the list above come from the Measurement Instrument Database for the Social Sciences (MIDSS). This contains over 500 free tests for collecting data from across the social sciences on a wide range of topics (e.g. autism, health, pain). If you can’t see what you would like in the list above you would do well to search the MIDSS more fully. Psychological tests for student use – York University has a selection of free measures here. Psychotherapy – A good website for free psychotherapy worksheets can be found here, with many free worksheets on depression, anxiety, anger management, stress reduction, self-esteem, groups, individuals, couples, adults, teens, children, CBT, DBT, ACT, PTSD, OCD, BPD. Looking to do a perception or cognition experiment? The lab can offer software PsyCog, which contains a number of freely available, ready built psychology experiments. See the Table of Content on this website to get an overview of what’s available. If you find any of the measures on these or other sites useful please let a psychology technician know, so they can add them to the list. Want to produce an academic poster? 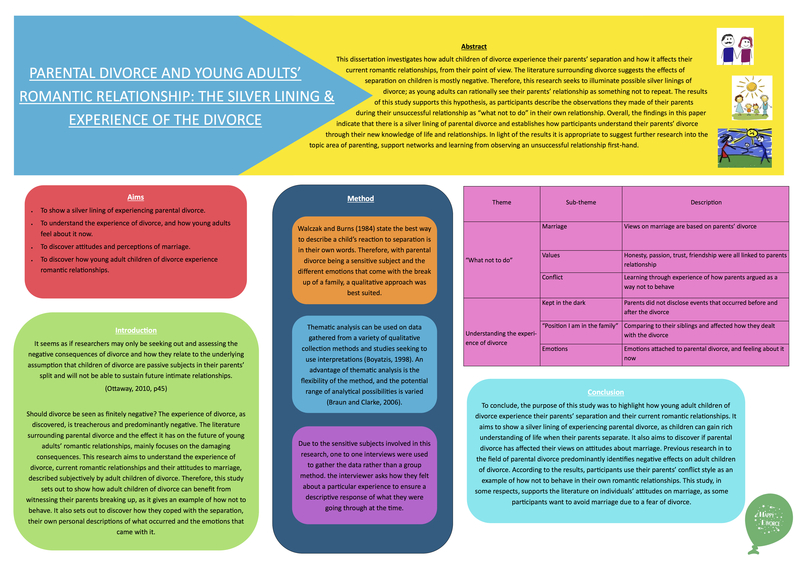 The psychology lab and the computers in the Falmer Library all have Microsoft Publisher, which is an easy way to quickly create professional looking academic posters like the one above, which was created by one of our Level 6 students for the 2016 BUDS conference. If you would like a demo of Microsoft Publisher, please ask Joe the psychology technician. The lab has produced a short guide which can be used to set up Microsoft Publisher for producing an academic poster and helps you understand some of the key features. The guide also contains links to more information. The guide can be downloaded by clicking here. Further support on Microsoft Publisher can be found on Microsoft’s website, here. Software for QUALITATIVE analysis – Nvivo. Nvivo is qualitative analysis software developed by QSR International. All of the lab’s computers have Nvivo installed on them, and it is also available on the library computers. If you would like a demo of Nvivo please speak to Joe the Psychology Technician. A short presentation introducing Nvivo can be found here. If you’d like a step by step guide to help you explore some of Nvivo’s basic features in your own time, please find a computer with Nvivo installed, and download the worksheet here. Full details of Nvivo can be found on the manufacturer’s website, here.